DE | 2017 | 58 min. 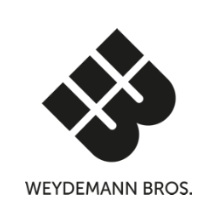 Weydemann Bros. produces films for the national and the international market. We have a vision of a narrative cinema that is both entertaining and political. For us film is always a critical look at the world and the times we live in. With our films we do not only hope to get people laughing and crying, but to inform them and inspire them to contemplate.